Box: The boxes for the deluxe toys have no windows. I assume this is due to the lack of paint apps. They look kind of awful without the stickers, so leaving out the window will hide that. 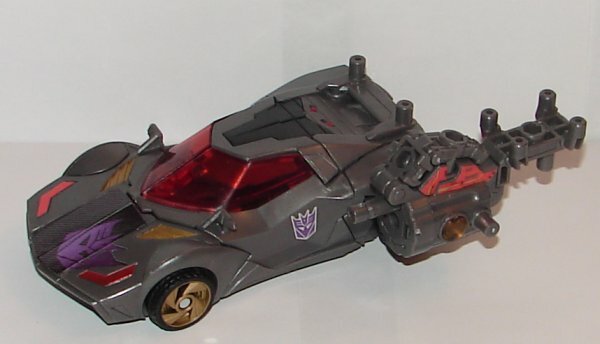 Good marketing, but it’s only necessary because the toys are so plain without the stickers. 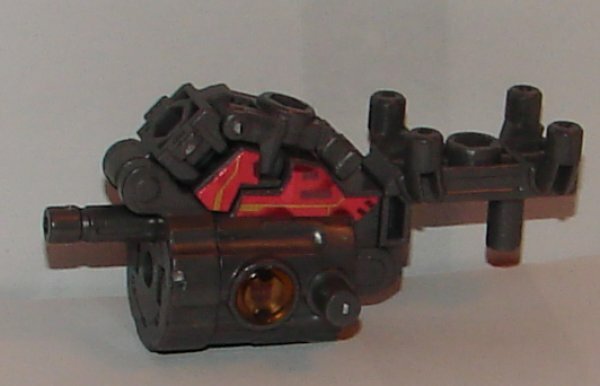 Weapon Mode: Ozu’s gun mode is hard to pin down, but to me it looks like it is supposed to be a Thompson submachine gun (also called a Tommy Gun) though it could be some kind of grenade launcher. 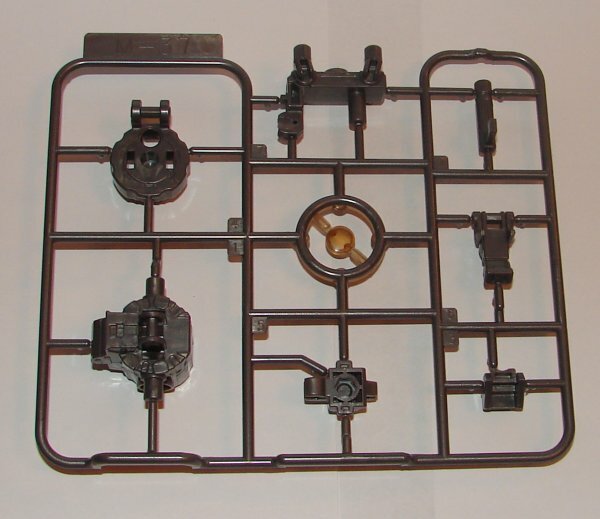 The large barrel shape in the middle is far thicker than a Tommy Gun would have, but it certainly looks like the same idea. 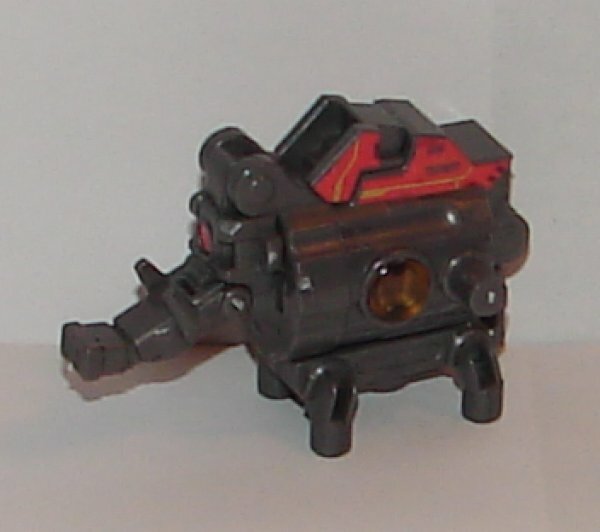 I like it, though I would prefer the barrel be a little longer. 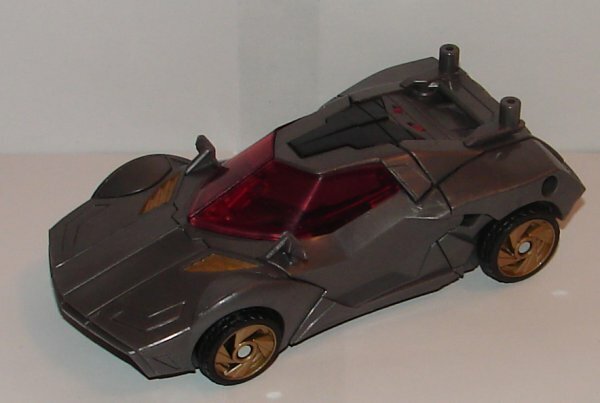 Robot Mode: It is about time the did this. Ozu is an elephant (or perhaps a mammoth). 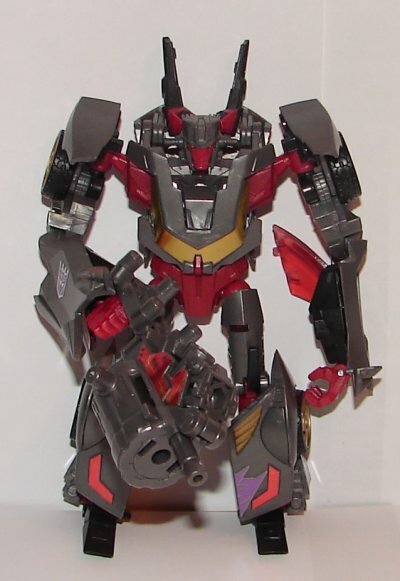 He really looks awesome, and I’m glad they did him in gray. The only thing I can complain about is that he needed to have a few more stickers. 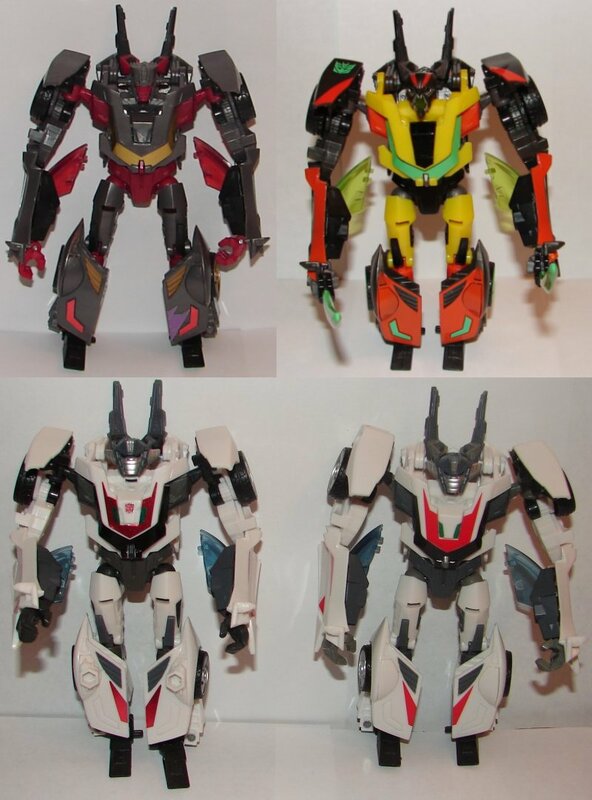 Click here for my review of Arms Micron Deluxe Wheeljack. 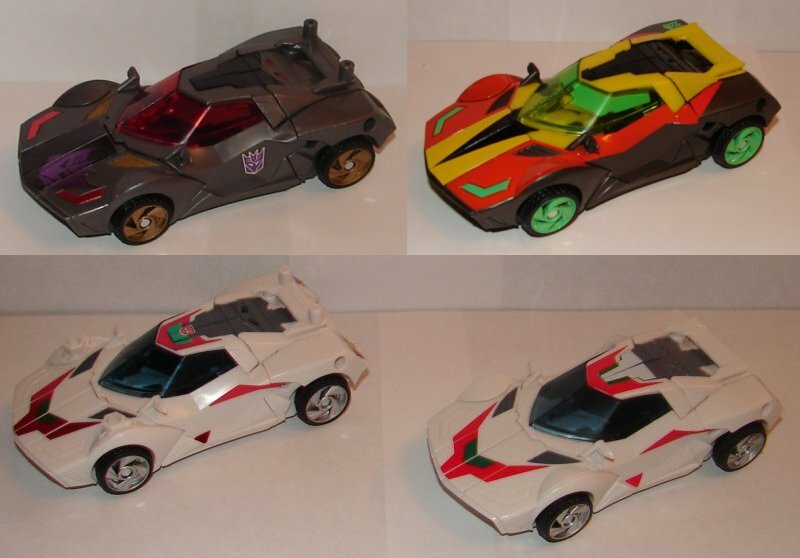 Vehicle Mode: Wildrider is repainted from Wheeljack. 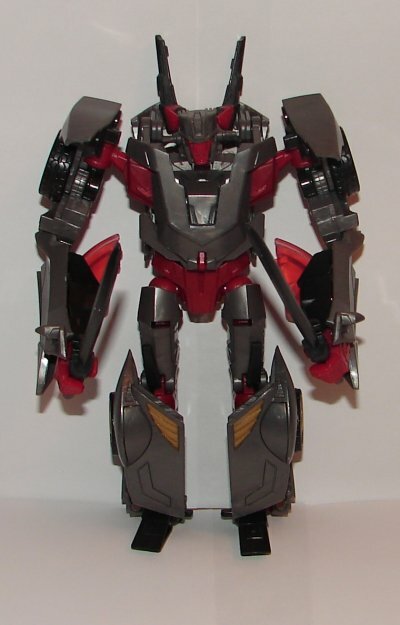 They did a great job painting him to look like G1 Wildrider. 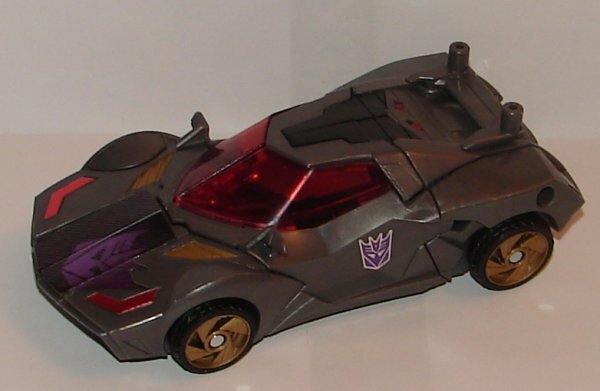 I would have preferred a simple Decepticon logo on the hood than the angled one, but it still looks nice. 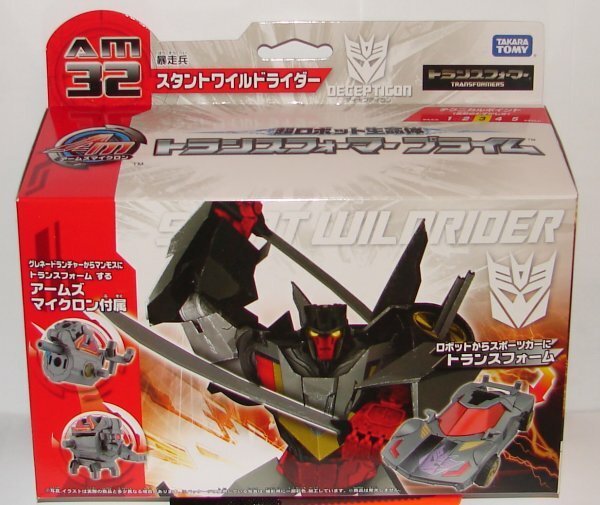 Robot Mode: Wildrider has a new head which is based on his G1 animation model. It looks amazing. Too bad we’ll never get this head in the USA. 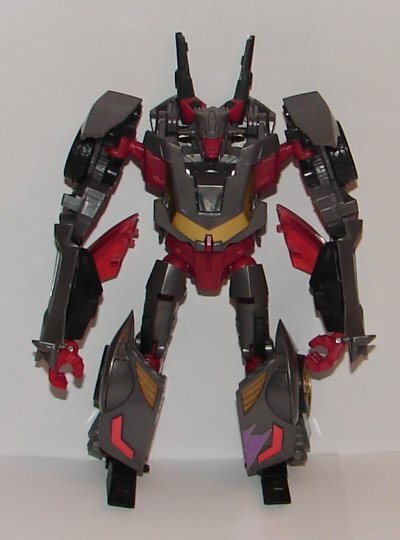 This entry was posted in Toy Reviews, Toys, Transformers and tagged Arms Micron, Dead End, Ozu, Stunt Wildrider, Toys, Transformers, Transformers: Prime, Wheeljack, Wildrider. Bookmark the permalink.